Operating as a specialized call center and energy information clearinghouse, Memphis Light, Gas and Water's Business Solutions Center handles commercial and industrial questions ranging from billing inquiries to available rates, new services, program eligibility, energy efficiency and other utility topics. 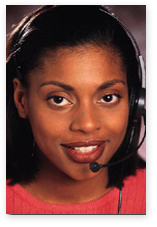 This streamlined operation virtually eliminates the need for call transfers so you get information fast. If phone lines are busy, leave voice mail or send a fax or e-mail. One of our C&I Resource Specialists will call you back - typically within a few hours. To reach a Business Solutions Center representative, please call between 8:00 a.m. to 4:30 p.m., Monday through Friday. Time is money in the business world, so you need information that's quick, accurate and user-friendly. MLGW offers a host of services designed to help you get started, reduce energy waste and increase operating efficiency so you can spend time concentrating on your business - not your utility bill. MLGW offers numerous services for commercial and industrial customers, ranging from publications to online reference libraries, from outdoor lighting design to sales and coordination of energy efficiency improvements, and from involvement with industry organizations to designated representatives for select companies within key industries. Many of the employees who work with commercial and industrial customers are Certified Energy Managers (CEM), an internationally-recognized professional designation bestowed upon qualified individuals in the field of energy management. Complete list of MLGW Phone Numbers & E-Mail Addresses.